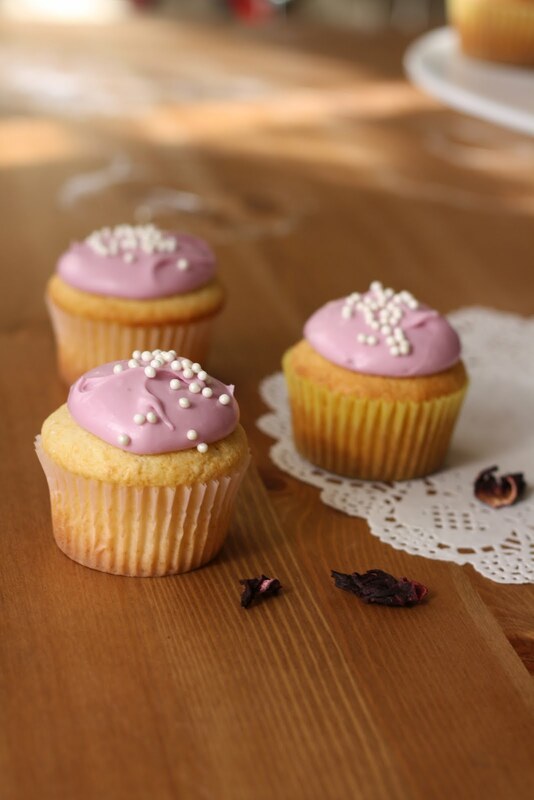 Hummingbird Bakery Lemon Cupcakes... with Hibiscus Cream Cheese Frosting! 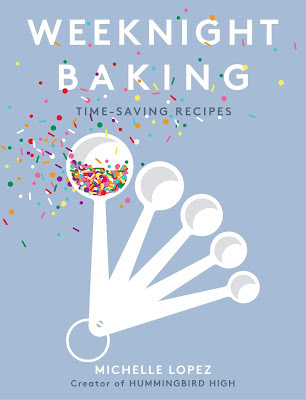 Since starting this blog, a few people -- mostly local folks and other high-altitude bakers -- have reached out and shared their websites, tips, and high-altitude baking experiments with me. I'm loving this high-altitude baking community that I'm slowly discovering through my blog! One such person is Megan from High Altitude Bakes. 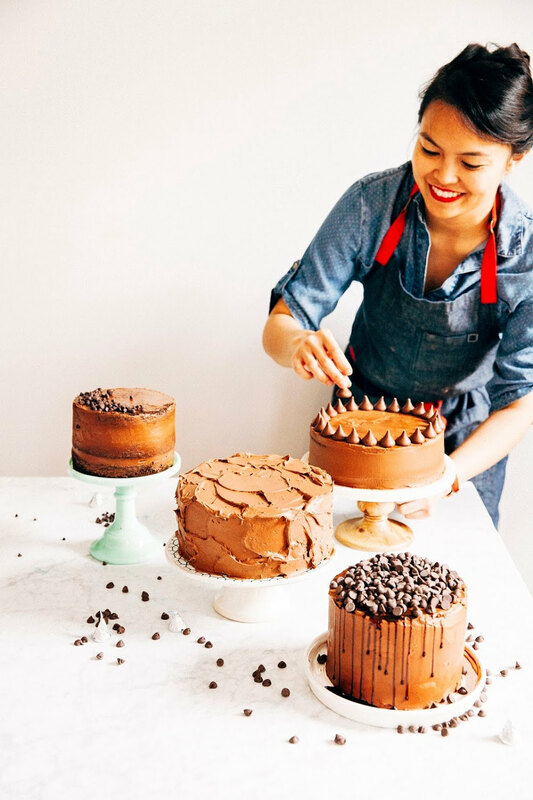 If you're a high-altitude baker and haven't checked out her blog yet, be sure to do so -- unlike me, she's actually got formal training from the French Pastry School in Chicago, and is currently the executive pastry chef of Restaurant Kelly Liken in Vail, CO. Very cool. And so how did her frosting turn out? So without further ado, here is Chef Megan's recipe for hibiscus frosting. I've cut down her recipe's quantities by half, just enough for the 10-12 cupcakes that the Hummingbird Bakery's lemon cupcakes recipe will produce. The original recipe can be found here. In a small pot, bring the water to boil. Set the colored water aside in a separate bowl. Using the paddle attachment of freestanding electric mixer (or, use a handheld whisk), beat the cream cheese and butter until smooth. Add the powdered sugar and salt to this cream cheese/butter mixture a few tablespoons at a time. Drizzle in the hibiscus water, and continue beating until the color is uniform throughout the frosting. Take care not to get hibiscus water on your clothes -- it will stain! This frosting is a lot runnier than Hummingbird Bakery frostings. If you want a thicker consistency for spreading or piping to make frosting shapes (like my rosettes), add up to 1/4 - 1/2 cup more of powdered sugar. Add the extra powdered sugar by tablespoon -- you don't want to accidentally add too much and have a consistency that is too thick and hard to spread. I decorated my cupcakes by using a 1-tablespoon size cookie spoon to drop a dollop of frosting onto center of the cupcake top and allowing it to spread on its own. 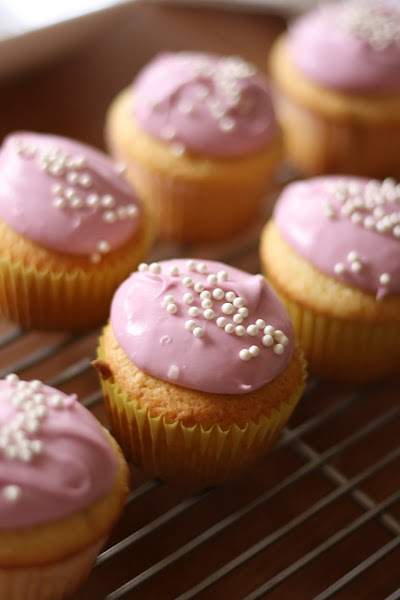 It creates a much more natural, playful frosting look. Add your decorations (e.g. 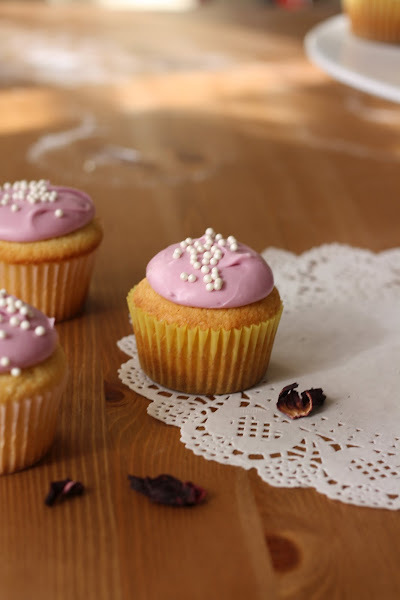 white pearls, seen in the pictures) immediately after you have frosted the cupcake; if you wait to decorate the cake, the frosting will harden and the decorations will bounce right off the frosting. Wow... Hibiscus cream cheese! The very first flower i learned was hibiscus. Not rose, hibiscus. This is really a great twist to ideas! These cupcakes are beautiful! Loved the use of hibiscus in frosting..